Are you one of the would-be nay-sayers who thinks that a minivan is a one-way ticket to dulls-ville? Well Brandon Honda and the Honda Odyssey minivan are here to change the way you look at these spacious, feature-packed, and totally awesome family haulers. Whether you have a bunch of kids, a bunch of friends, a bunch of pets, or just want a bunch of space in your next vehicle, then the new Honda Odyssey is going to pleasantly surprise you. This spacious van has boasted the title of the "original swagger wagon" for many years, and even if that's just an unofficial title, you will see why the name has stuck the moment you set your foot inside this stylish and well-appointed van. The 2016 Honda Odyssey is now available here at Brandon Honda of Tampa, FL. Our lot is well-stocked with these exceptional models that will make you think twice about trash-talking a minivan. Perfect for families big or small that find themselves in need of a lot of space, the Odyssey minivan is ready to take on anything you and your kids could throw at it. There's more to minivans than soccer practice, and if you are checking out your options in this segment, you will likely come across the Toyota Sienna in your search. The Sienna is no match for the likes of the 2016 Honda Odyssey, keep reading to find out why - and how - the Honda van keeps things interesting! The 2016 Honda Odyssey is packed to the gills with advanced features in every single trim, because Honda knows that everyone in the family wants a ton of cool stuff in a van, because, who doesn't love cool stuff? Some exterior features offered as standard in the basic Odyssey LX include rear privacy glass, a roofline spoiler with integrated brake light, LED light bars integrated into the tail lights, a chrome tailgate garnish, and an expanded-view driver's side mirror. The Toyota Sienna LE is the basic trim, but it comes without the LED tail light bars, expanded-view side mirror for the driver, or chrome tail gate trim. For the interior, the base Odyssey LX trim provides the comfort of standard power-adjustable driver and front-passenger seats and the convenience of a full set of floor mats. The rear windows feature standard deep-tinted glass as well, which helps keep the Odyssey cool in the sun and keep your property out of sight to passersby. The Sienna doesn't offer any of those amenities until you reach higher trims - and pay higher prices. 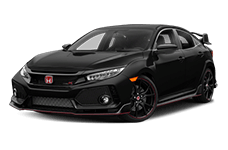 Fuel economy is a big deal for drivers who own big vehicles, but if that big vehicle is the 2016 Odyssey, you will be pleased to know that Honda's engineers did everything they could to help you save on fuel costs. The Honda Odyssey and the Toyota Sienna minivans both feature a 3.5-liter V6 engine paired with a six-speed automatic transmission with a standard front-wheel drivetrain; but these two vans are not the same when it comes to gas usage. 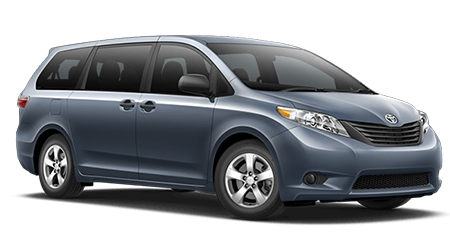 In the Honda Odyssey, you will visit gas stations a lot less than you will if you were driving the Toyota Sienna. The 2016 Odyssey can return up to 19 mpg on city roads and 18 mpg while driving on the highway, and a combined rating of 22 MPG*, according to the EPA. The Sienna can only muster 18 city and 25 highway mpg. The Toyota Sienna fails in another area too, its gas tank holds only 20 gallons compared to the Odyssey's 21-gallon fuel tank. If you want to find yourself filling up more instead of seeing the sights, pick the Sienna. If you want to enjoy your road trips or even just your daily commutes instead of checking out the gas station, then the 2016 Odyssey is the choice for you. In testing by the IIHS, the 2016 Honda Odyssey has been given the title of a 2016 Top Safety Pick, which makes it an excellent choice as a family vehicle that is tasked with carrying precious cargo. The Odyssey earned â€~Good' scores in all of the long-standing tests as well as the difficult new small-front overlap test. The Sienna was also tested, but did not perform as well in IIHS crash tests and was not given a Safety Pick designation at all. 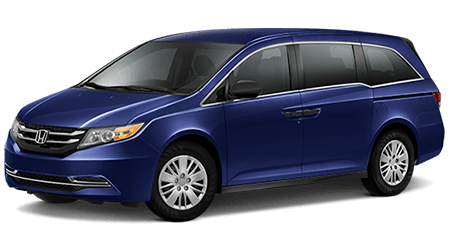 The Honda Odyssey LX features a security system with an engine immobilizer to protect against thieves; the Sienna doesn't offer an engine immobilizer in its base L trim. Keep everything, including your van, safe and secure by picking the 2016 Odyssey van from Honda. The 2016 Honda Odyssey is now available at Brandon Honda in Tampa, FL. Bring the kids, or bring your friends, but most of all, bring your curiosity and see that this minivan is much more than mini. 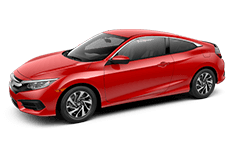 Brandon Honda serves the entire Tampa county and the surrounding areas.